Well, here we are just about mid-way through our grant cycle and the progress and transformation of this under-utilized parcel of land is absolutely amazing. We could not have imagined a more dedicated and driven group of individuals coming together to get this project off the ground and to keep it moving forward. The residents that have committed to this project have gone above and beyond to make this garden a fun and desirable destination spot. Lasting friendships are being forged, casual, yet educational, conversations occur on a daily basis and an overall mood of comradery blankets this modest 90’x50’ fenced in oasis. 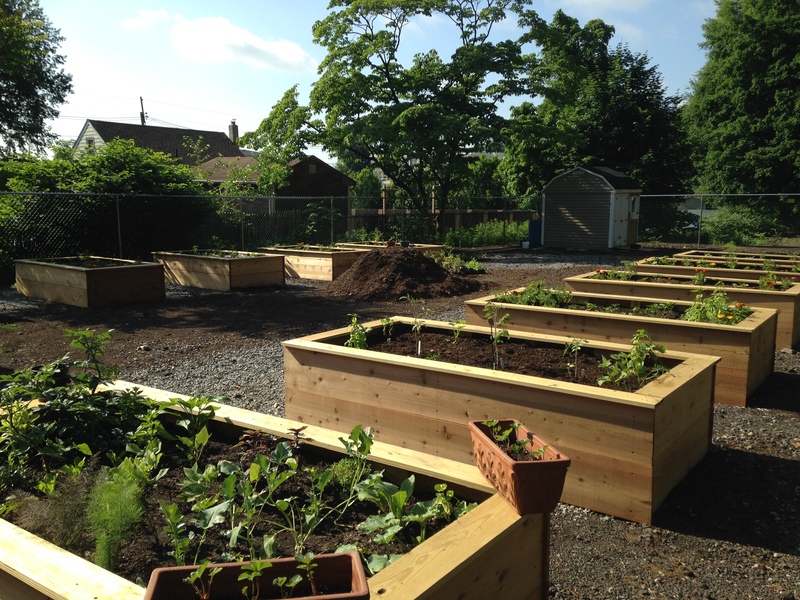 To date, all twelve beds are planted and thriving – with eleven beds reserved for construction for next year. 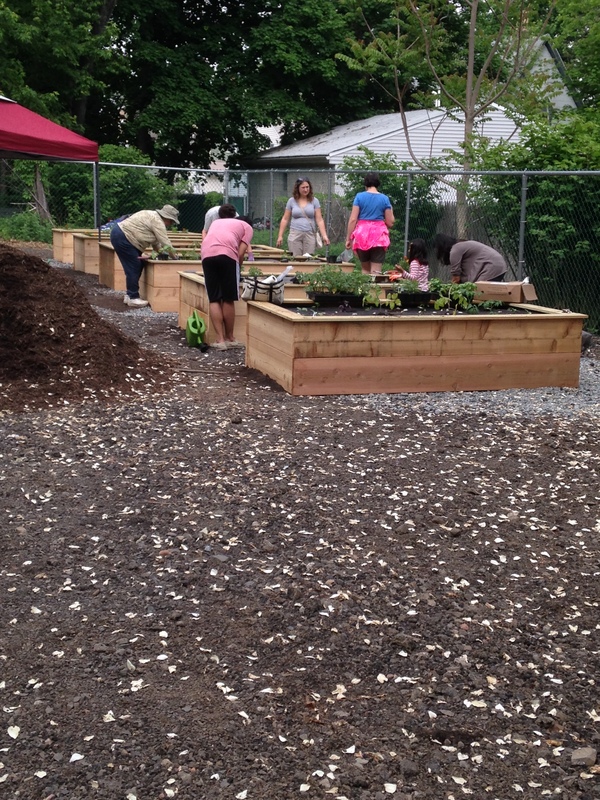 With the help of our Master Gardeners, the residents that have never gardened before are growing their own produce with confidence and pride. We have been fortunate enough to receive additional donations of fruit and vegetable plants, which have been planted in containers and placed around the perimeter of the garden. 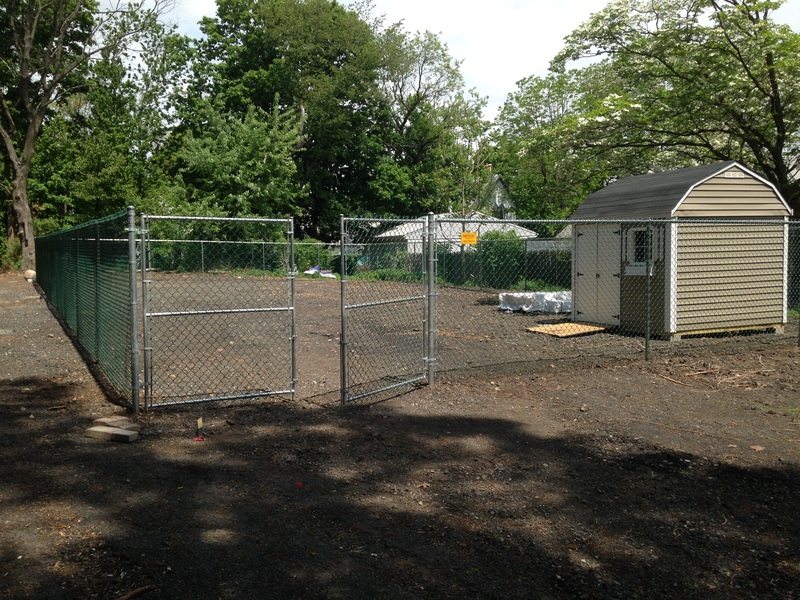 100% of the material yielded from these plants will also be forwarded to the local food pantry and care kitchen. Our first big event will be our ribbon cutting ceremony scheduled for Saturday, June 20th. 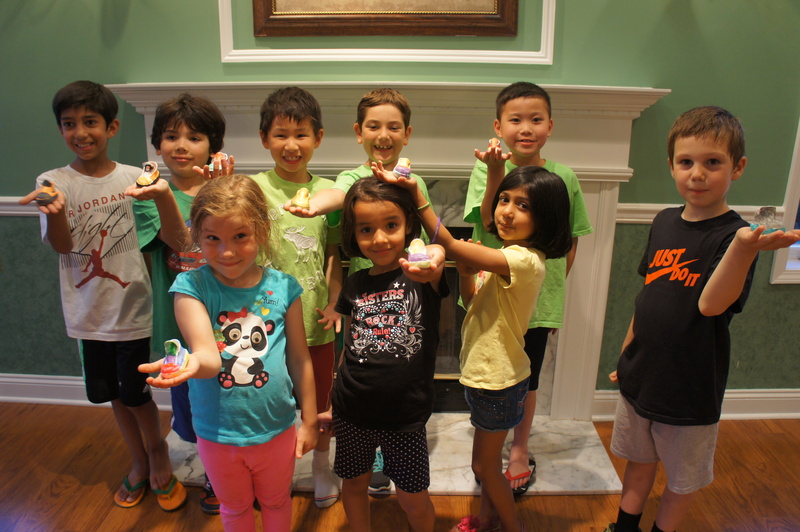 We have plans to conduct several educational workshops throughout the season, such as composting, rain barrels, canning, grilling of fresh fruits and vegetables, and more. These workshops will be open to the general public, as well as of course, the garden participants, their families and friends. 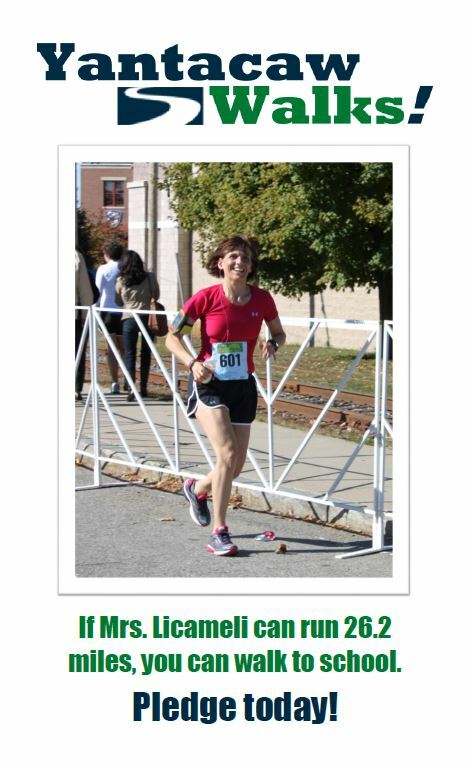 Nutley is very fortunate in the fact that our residents are very interested and engaged in the betterment of our community and very willing to share their time and talents. All of these workshops will be conducted by our participating Master Gardeners and/or volunteer community members. We are so grateful to be able to combine Nature’s goodness with Nutley’s kindness! While students were off for the summer, the Yantacaw Walks team was busy creating presentations to share our work with various audiences, mining our parent survey for feedback to make program improvements, and updating our educational and promotional materials for the 2014-2015 school year. 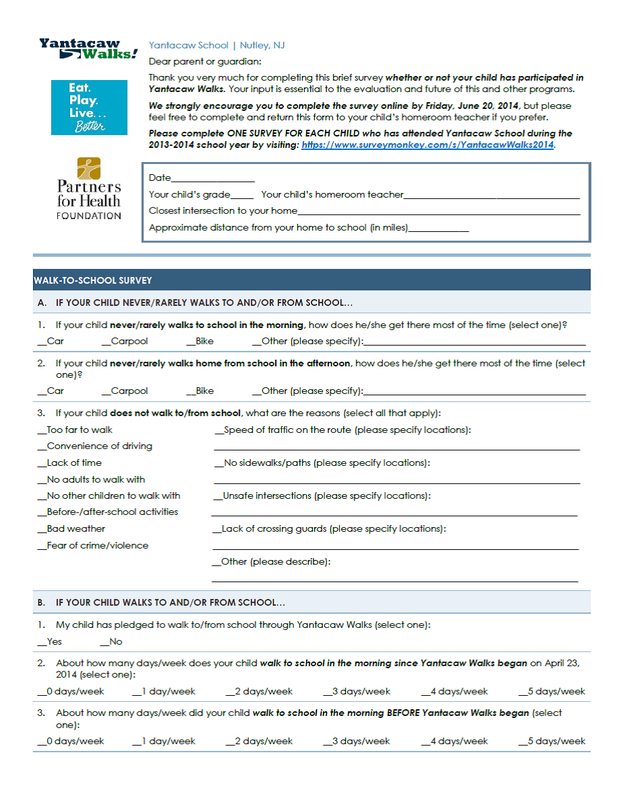 Our 2014-2015 pledge form more clearly communicates options for children in before-/aftercare, outlines activities for the school year, and distinguishes between walking to and from school, among other improvements based on program experience and parent feedback. Plans for Yantacaw Walks include fall and spring Classroom Challenges in which students compete by class and grade to log the most walks. For the colder months, we will pilot Winter Walkers in which students log their walks individually for chances to win small winter-activity-themed prizes such as ice-skating passes. Throughout, we are emphasizing pedestrian safety, and also communicating expectations about safe driving to the larger community through our town-wide alert system and via the press. Our fall Classroom Challenge kicks off with a dance-walk parade led by two of our wonderful Yantacaw teachers. For a glimpse of the wonders of dance-walking, check out Dance Walking Fitness with Ben Aaron: Time to Dance Walk Baby. Thanks to the organizers of the November 2013 TedX Montclair for putting this idea on our radar! In addition to our continued efforts at Yantacaw School, we are launching Walker Walks, a new program designed to promote walking to the roughly 600 7th and 8th grade students of John H. Walker Middle School. 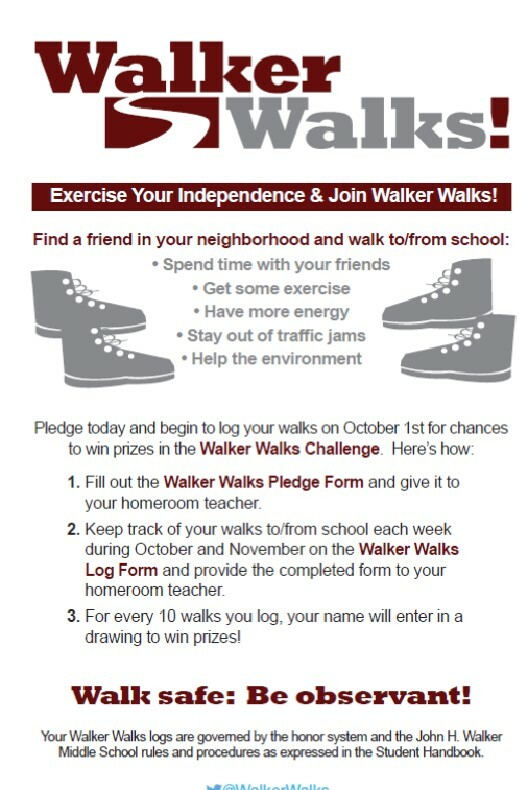 Students will pledge to walk to/from school during the months of October and November, log their walks, and turn in their completed log forms each month for chances to win small gift cards. The more walks students log, the more chances they have to win. 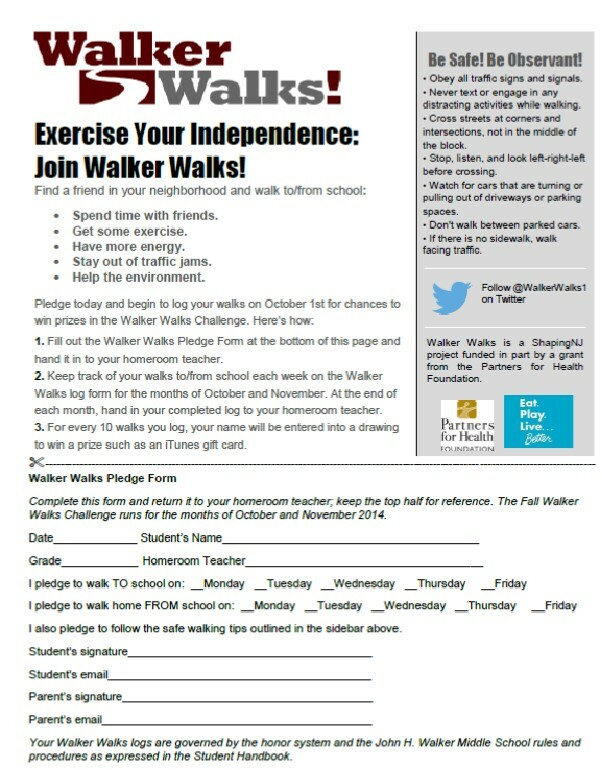 The Walker Walks pledge form for middle school students emphasizes exercising independence, which is a message we believe will resonate with this audience of 7th and 8th graders. 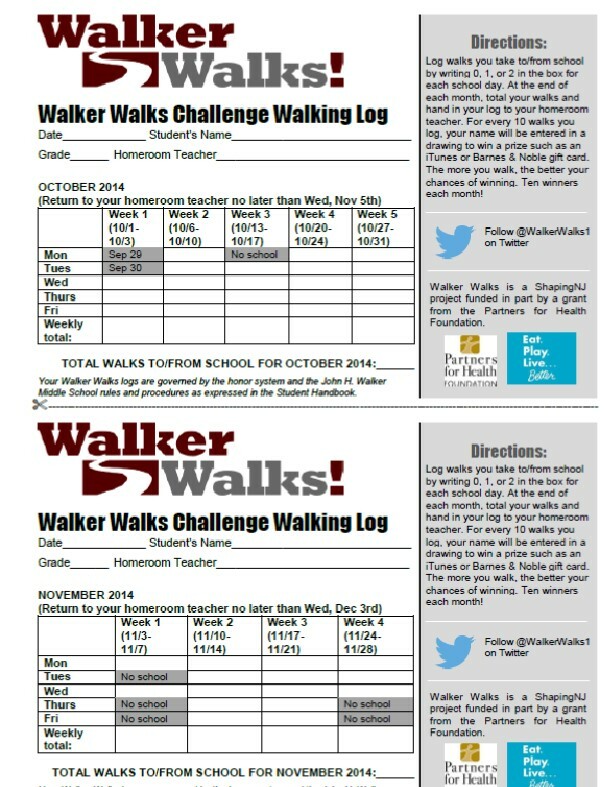 Middle school students log their walks for the months of October and November. The more walks they take, the more chances they have to win small but middle-schooler-relevant prizes such as iTunes gift cards. In-school posters and ongoing loudspeaker announcements will keep Walker Walks present in students’ minds in the context of the school day. While Yantacaw Walks heavily uses Facebook to reach our elementary parent audience, Walker Walks will use Twitter (@WalkerWalks1) to reach students in this age group directly as they develop their independence, with parents as the secondary audience for our communication. 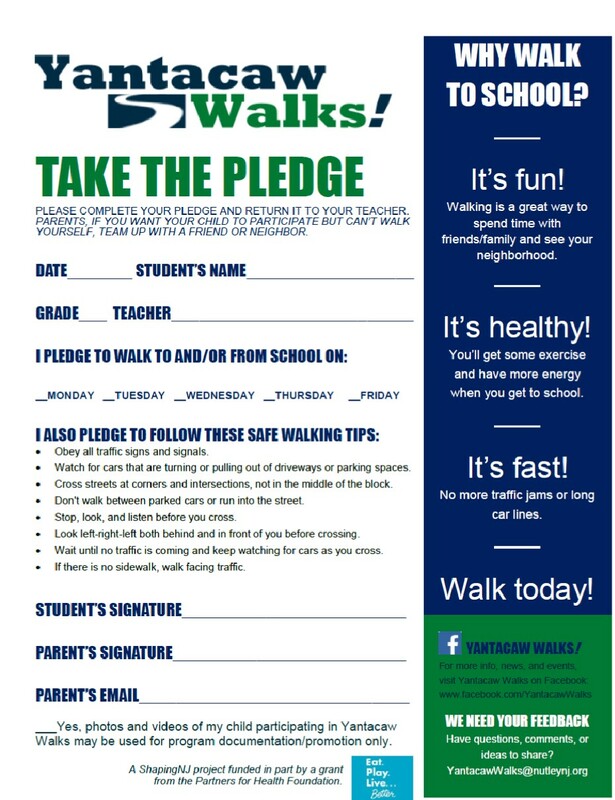 Posters give Walker Walks a regular presence in school and communicate the message of independence, among other benefits of walking, as well as the importance of safety. 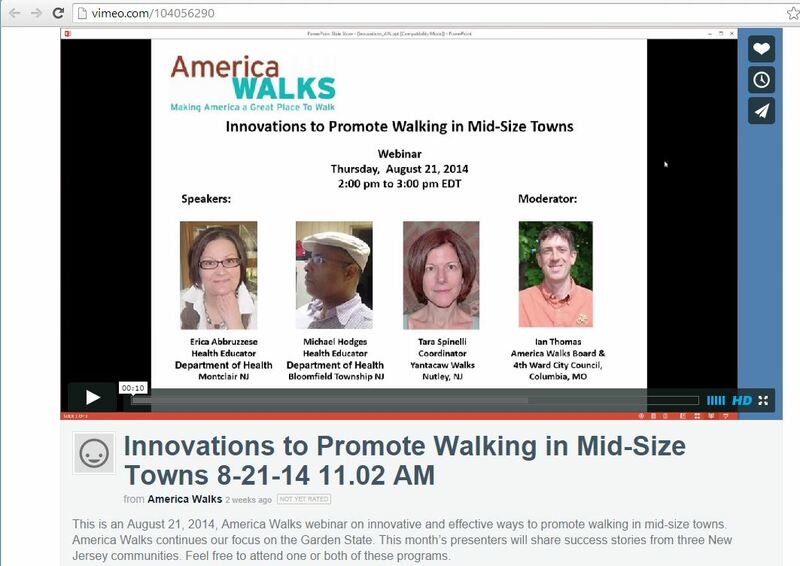 In terms of sharing our work with a broader audience, Yantacaw Walks participated as a panelist in a national webinar and follow-up discussion forum sponsored by America Walks on promoting walking in mid-size towns. In these two lively sessions on August 21st and 28th, we had the privilege to share success stories and challenges alongside our wonderful co-panelists Erica Abbruzzese, Health Educator, Montclair Health Department and Michael Hodges, Health Educator, Bloomfield Health Department. You can view a recorded version of the August 21 webinar anytime. Yantacaw Walks was a panelist in the America Walks webinar title “Innovations to Promote Walking in Mid-Size Towns,” which can be viewed here: http://vimeo.com/104056290. To follow our progress, visit Yantacaw Walks on Facebook and @WalkerWalks1 on Twitter. Yantacaw Walks celebrated the conclusion of our inaugural program at the end of the 2013-2014 school year with thank-you coffee for our parents, teachers, and school staff (courtesy of our local Starbucks!). We also had an exciting closing ceremony in which we announced the winning class in each grade K-6 and awarded the Golden Sneaker to the class with the most walks overall during our 7-week Classroom Challenge. The Classroom Challenge hallway chart was updated weekly to show the number of walks to/from school for each class as well as weekly leaders for each grade (based on greatest number of average walks per student to adjust for class size). The ceremony was attended by all of our students and teachers, our Principal, Superintendent, and Commissioner of Public Affairs as well as Health Department staff, including the department mascot Bernie the Dog. 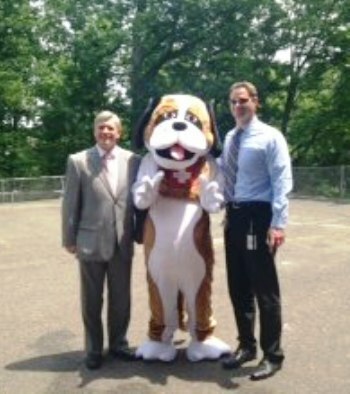 Nutley Commissioner of Public Affairs Steven Rogers, Health Department mascot Bernie the Dog, and Superintendent Russell Lazovick celebrated with students at the Yantacaw Walks closing ceremony. The winning class—Mrs. Napolitano’s 4th Grade—was thrilled to receive their award, which we consider nothing less than the Stanley Cup of walking to school. Even though there’s only one award, we’re incredibly proud of all of the classes who won in their grade, not to mention every student and family who participated in Yantacaw Walks. The class with the most walks overall in the 7-week Classroom Challenge took possession of the Golden Sneaker, which like the Stanley Cup won’t pass hands until the winner of the next Classroom Challenge is announced in November 2014. When school resumes in September 2014, we’ll begin another 7-week Classroom Challenge, and hope to get both pledge renewals and new pledges. Our goal is to meet or exceed our 2013-2014 pledge rate of 250 students, which represents more than half of our student population of about 450 students. During June, we also conducted an online parent survey (with the option to complete on paper, which no one did), and received 180 responses. 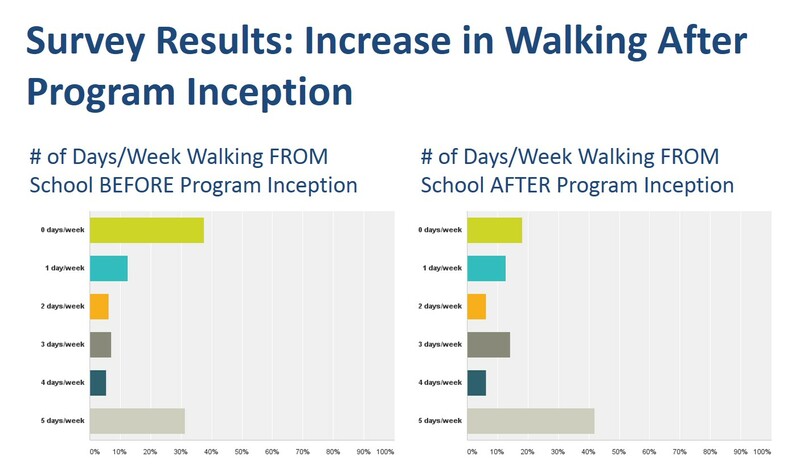 The purpose of the survey was to measure changes in walking habits since program inception, reveal barriers to walking, and gather open-ended feedback. 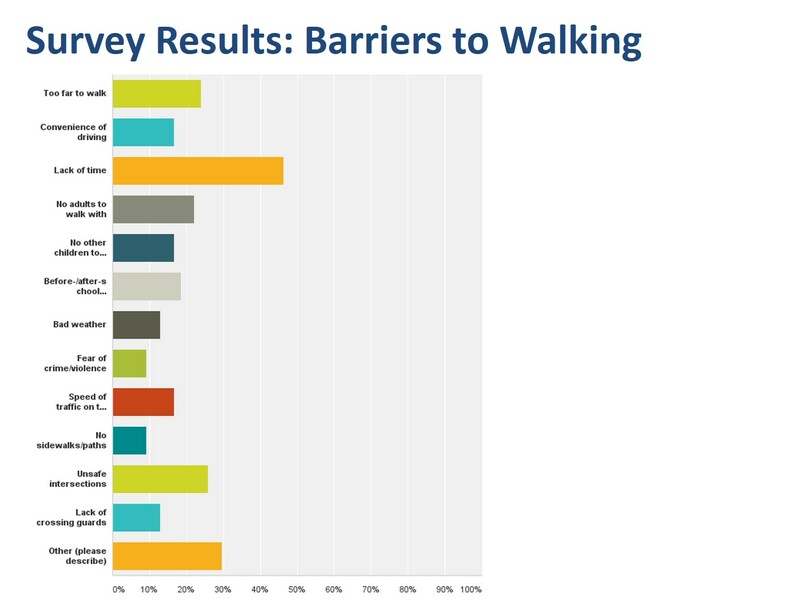 The Yantacaw Walks online parent survey received 180 responses that shed light on walking habits and barriers to walking plus gathered a lot of important feedback on program impact and route safety. 1. 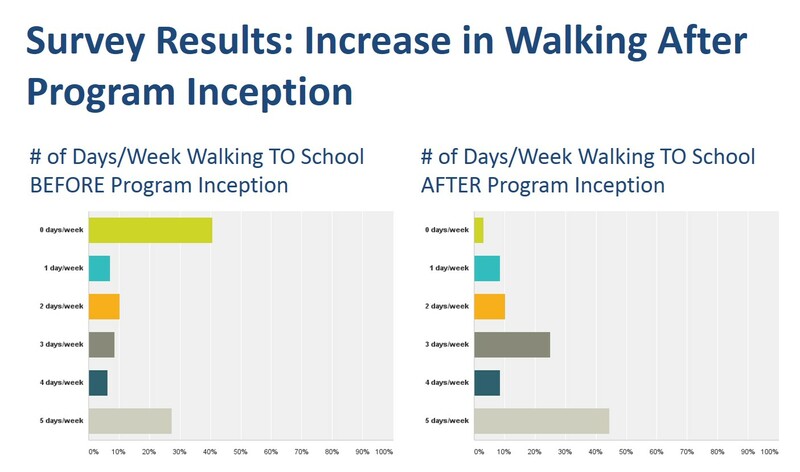 More children walked to/from school and did so more often than they did before Yantacaw Walks began. 2. Among those who didn’t walk to/from school at all, some of the top reasons included lack of time, distance to school, and a variety of route safety concerns. Parents identified specific intersections and routes where they felt safety improvements were needed. 7. Nearly 30 parents volunteered to help Yantacaw Walks with everything from identifying safety issues and organizing walking groups to helping with communication, promotion, events, and contests! 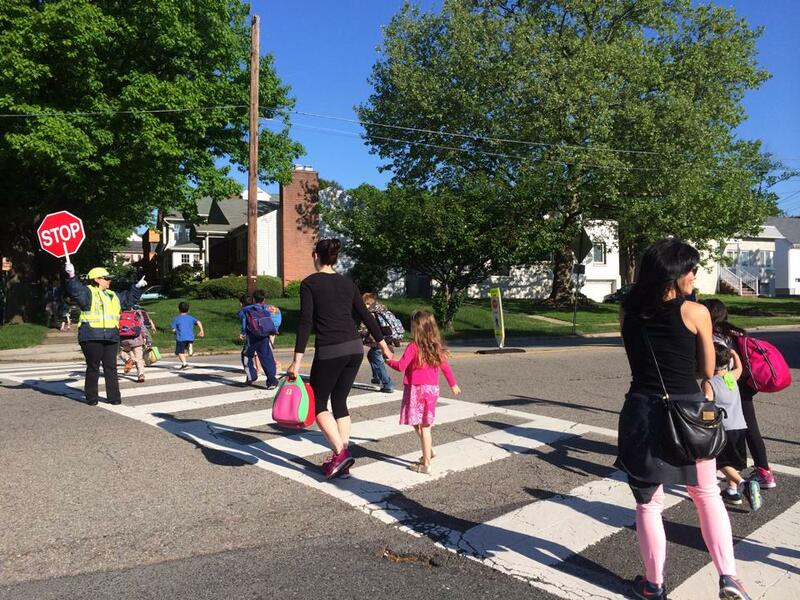 Although school may be out, the Yantacaw Walks team is busy planning for the next round of the Classroom Challenge, bringing parent feedback to town and district officials about route safety, designing a program to inspire walking in the colder months (Winter Walkers), engaging middle school students in walking to/from school, and sharing our program with other Nutley elementary schools. To follow our progress, visit Yantacaw Walks on Facebook. The roads leading to Yantacaw School that used to be choked with cars during peak dropoff times are now clear. This is one of the main roads that leads to Yantacaw School during morning dropoff. Before Yantacaw Walks began, there would be a line of traffic and cars parked end-to-end on both sides of the street. There are now waves of children with parents and groups of friends walking to and from school every day. Our crossing guards are enjoying many more customers. Scores of children walk to and from school every day since Yantacaw Walks began. In the past, the numbers were far fewer, especially in the morning. Our calls for creativity have been met with terrific contributions, and parents and children have devised their own creative projects to express their support and enthusiasm for walking to school. 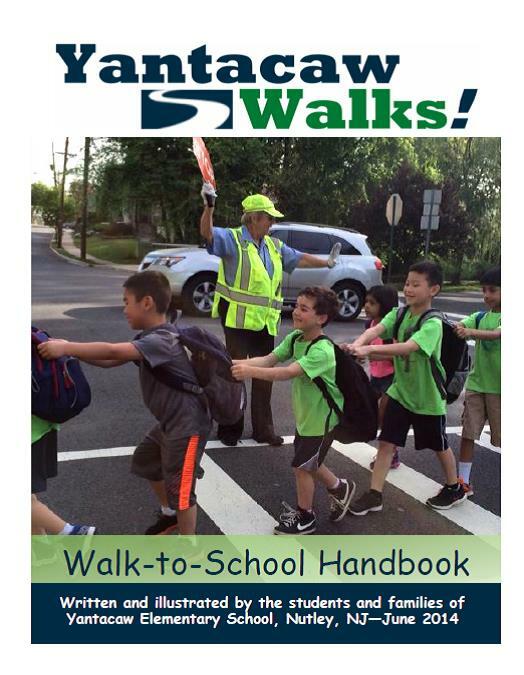 The Yantacaw Walks Walk-to-School Handbook is a collection of drawings, photos, poems and even a t-shirt design and comic strip created by students and families to illustrate key principles of safe walking and driving. 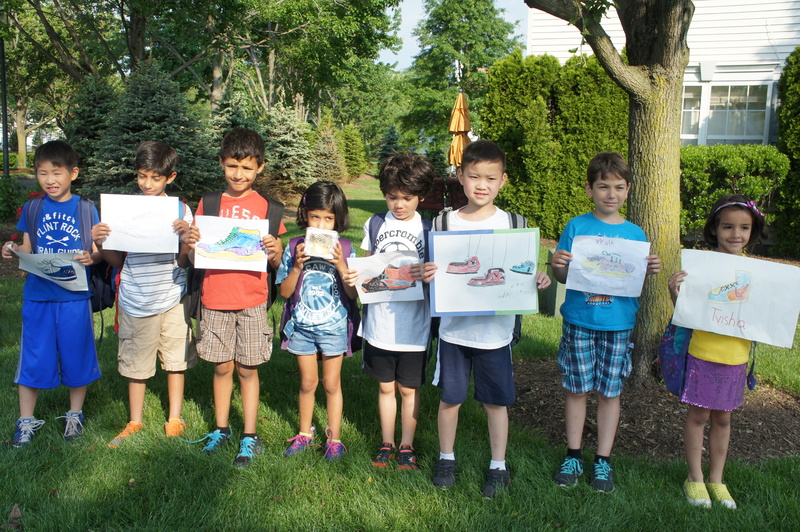 The sneaker parade is a project organized by one of our fantastic parents. 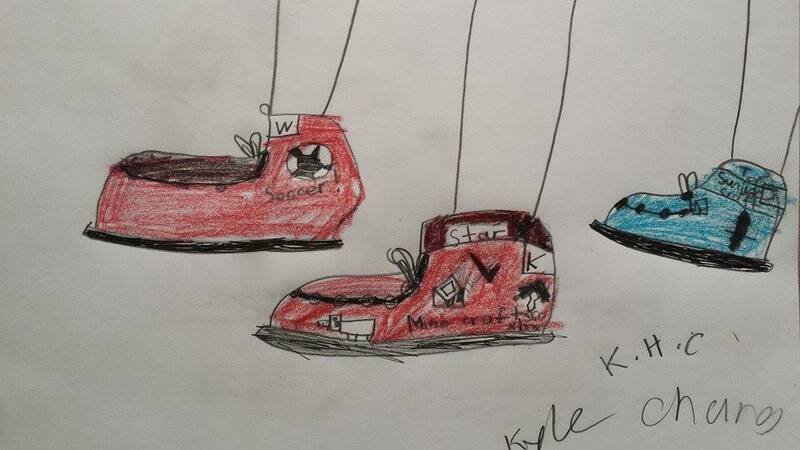 Siblings make a sneaker portrait together. 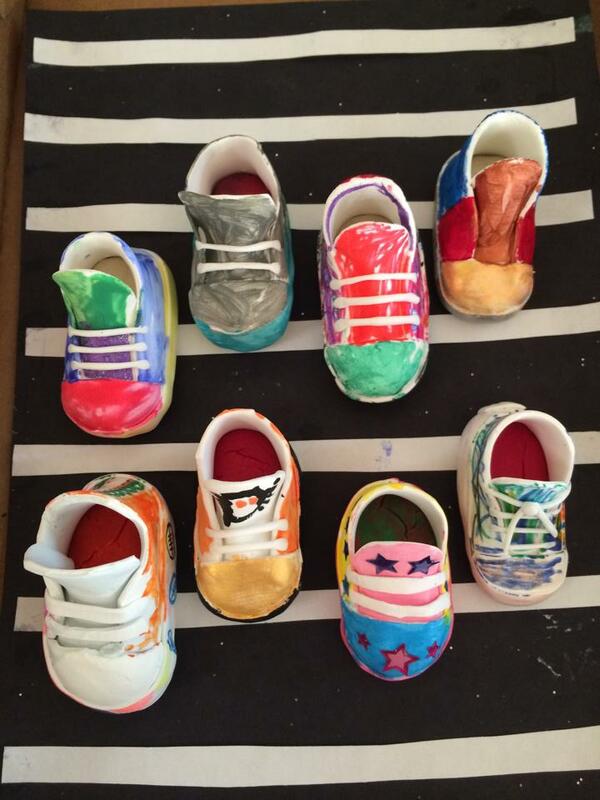 Sneaker sculptures is another project organized by one of our amazing parents. Some of the colorful sneaker sculptures. 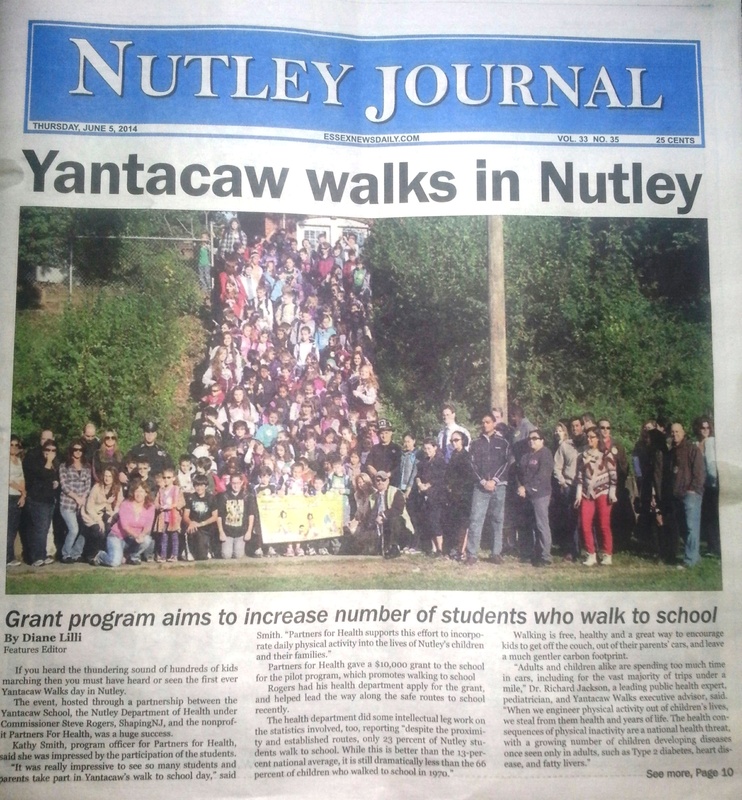 Nutley Journal features Yantacaw Walks as its June 5th cover story. 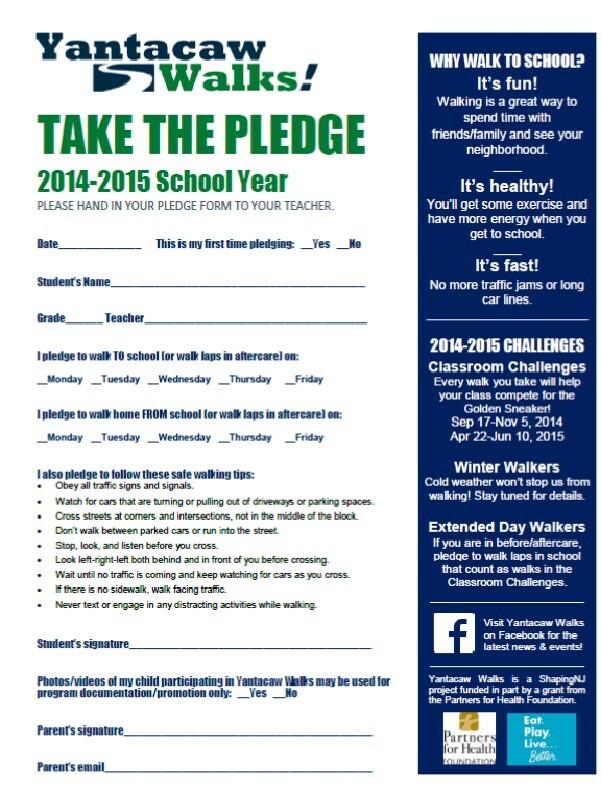 More than half of our 450 students have pledged to walk to and/or from school up to five days/week. Our online parent survey (just launching) will gather data about the number of walks before and since Yantacaw Walks began and also give us insight on reasons some don’t walk to school. Yantacaw Walks Parent Survey is administered online through SurveyMonkey with the option to complete it in print. While we’re proud of our successes, we recognize that the true challenge lies ahead in sustaining the commitment to walking that this pilot project has begun. As organizers, we do everything possible to make our initiatives successful. We strategize and plan, communicate and collaborate, anticipate and problem-solve, publicize and promote. Then we cross our fingers and hope for the best. 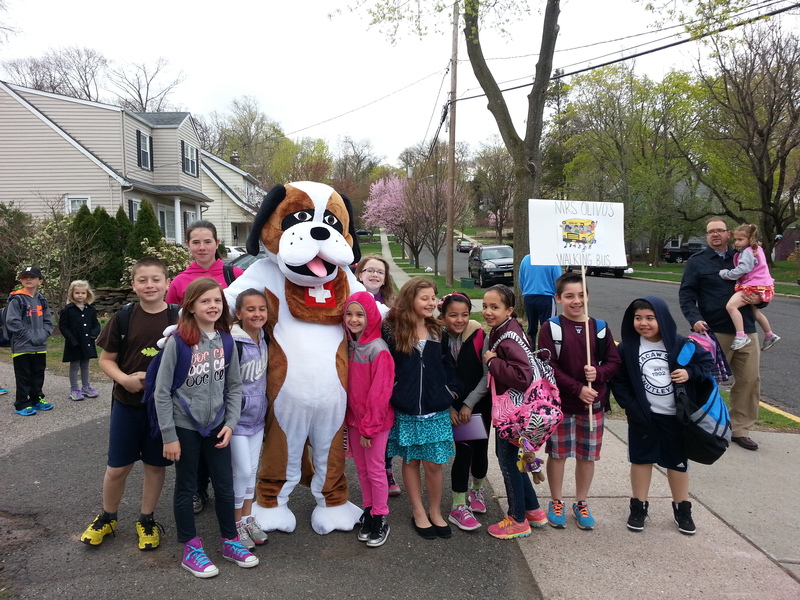 When Yantacaw Walks kicked off on April 23, over 100 students grades K-6 plus parents, caregivers, and preschool siblings turned out, walking from home or “riding” one of our three teacher-led walking school buses and converging into one giant walking parade led by Bernie the Dog, the Nutley Health Department mascot. In addition to our wonderful classroom teachers, our local dignitaries—Commissioner of Public Affairs, Superintendent of Schools, Board of Education Trustee, Principal, School Nurse, and Gym Teacher—joined the parade or welcomed students as they arrived at school. 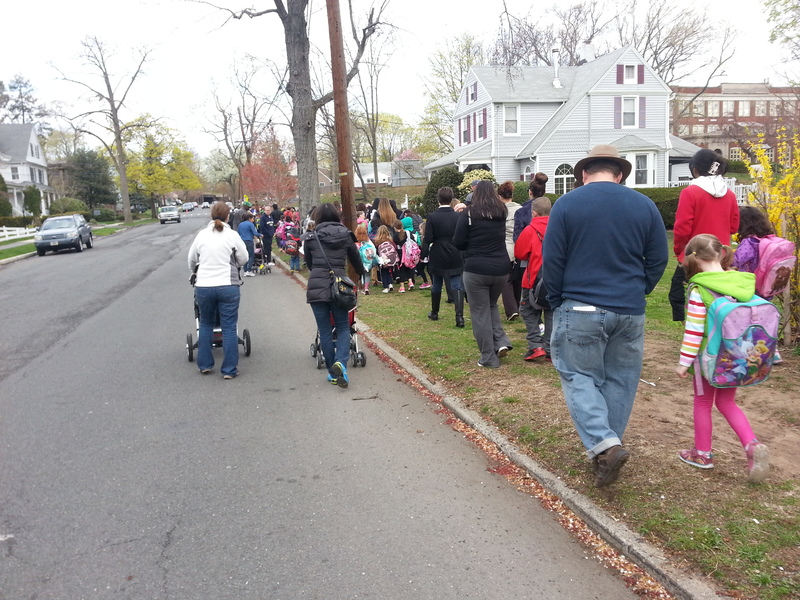 The Yantacaw Walks walking parade—students, parents, caregivers, preschool siblings, teachers, local dignitaries—heads to school. 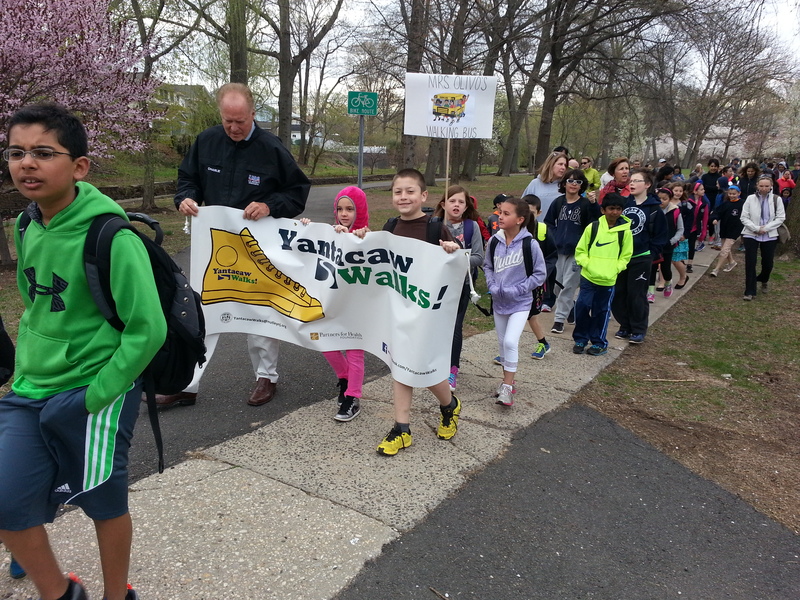 Students carried homemade and official Yantacaw Walks signs featuring teachers engaging in physical activity, safe driving tips, and fun words of encouragement. Posters featuring teachers engaging in physical activity encourage students to keep walking. 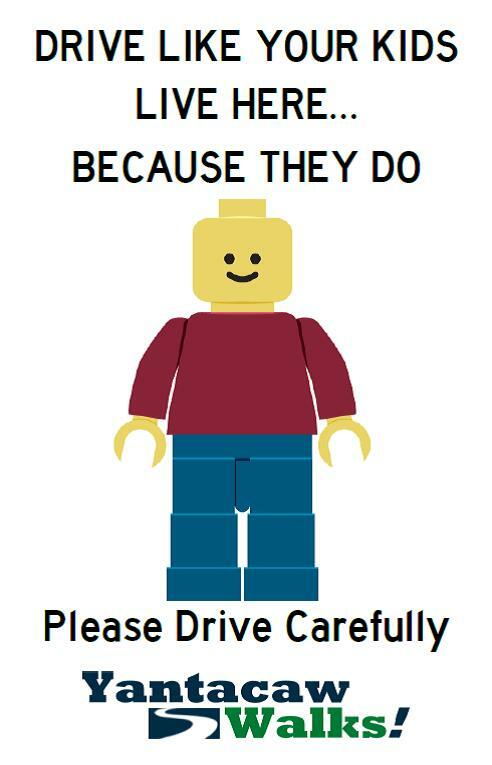 Fun posters encourage safe driving. An email alert issued to all residents and an editorial in our local newspaper significantly broadened the reach of the safe-driving message. When walkers arrived at school, they were excited by the experience, and as a bonus, received some relevant swag—a pedometer and string backpack. Walkers arrive at school excited, refreshed, and ready to learn. 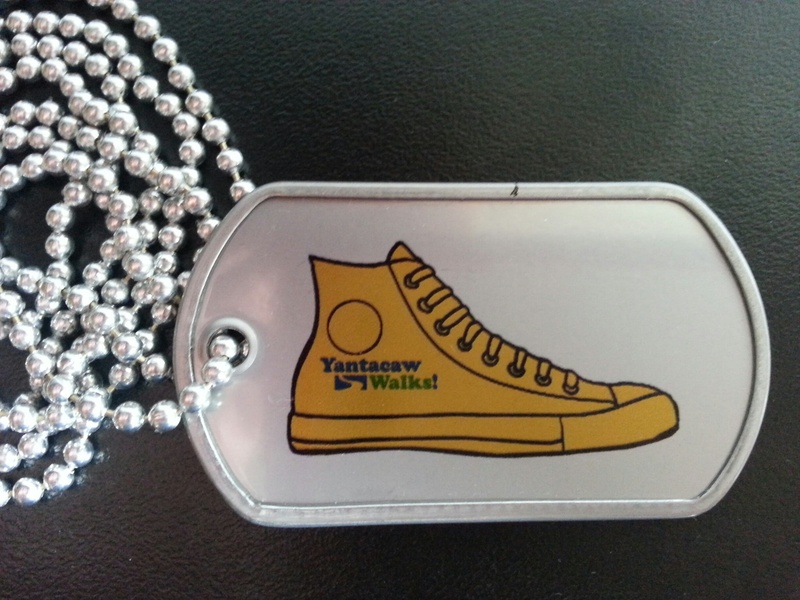 Everyone who hands in a walk-to-school pledge also receives a Yantacaw Walks dog tag. Each student who hands in a walk-to-school pledge form receives a Yantacaw Walks dog tag. Students love to show their walking pride (and fashion sense!). To date, we’ve received pledge forms from over 230 students, which represents nearly 50% of our student body. Students have pledged to walk to and/or from school anywhere from one day a week to all five days. 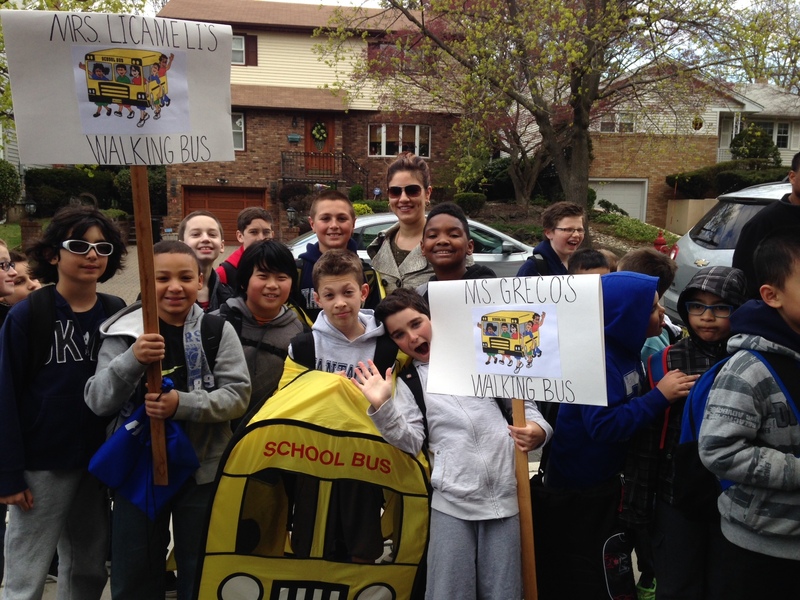 Students pledge to walk to and/or from school anywhere from one day a week to all five days. One of the primary ways we are sustaining interest and commitment is through our Classroom Challenge. 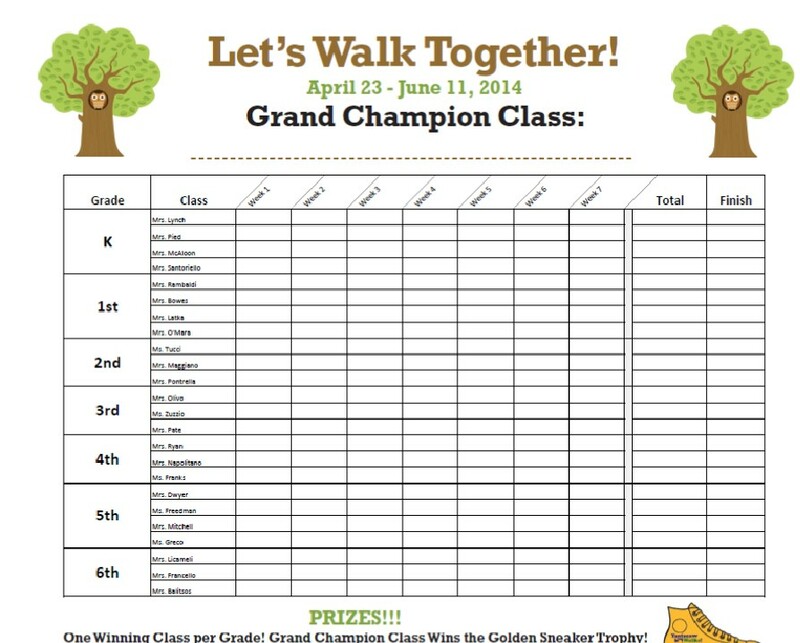 Every class competes within its grade to log the most walks. 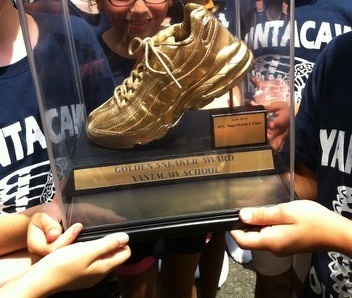 The class with the most walks overall will be named Grand Champion and take possession of the Golden Sneaker trophy. 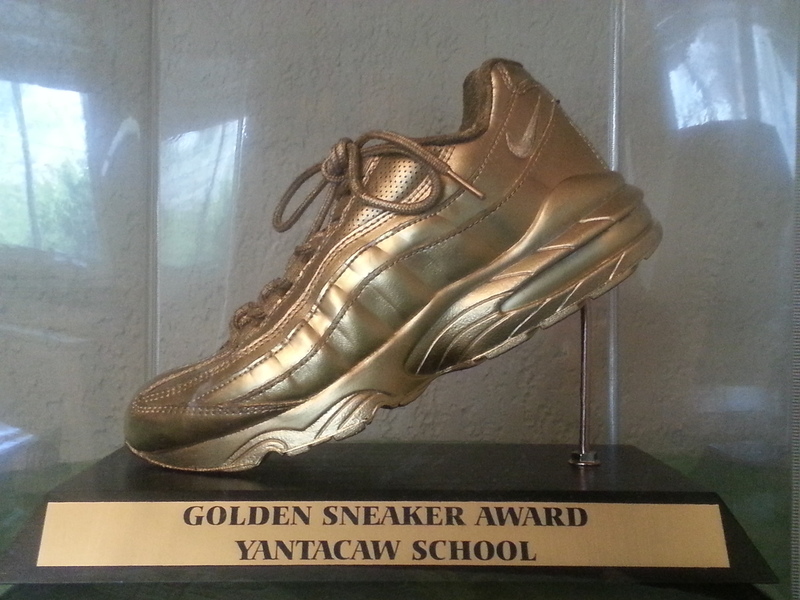 The class with the most walks overall will take possession of the coveted Golden Sneaker Award. Big thanks to the Transportation Authority of Marin Safes Routes to Schools for this fantastic idea. Thanks to the amazing participation of all stakeholders—town and district officials, school administrators and staff, classroom teachers, parents and children—Yantacaw Walks has gained significant momentum, and we will continue to work together to keep it moving in the right direction.